Should Football Teams Go for Two When Losing by 14 Points? If your team is down by 14 and scores a touchdown, should they kick an extra point or go for two? There are three possible strategies for getting at least 14 points, so let's examine each one's win probability. If you are thinking of maybe going for two to win, always do that on the first td instead of the second one. The decision to go for two over kicking an extra point is not so clear and depends on the probability of making an extra point, making a two-point conversion, and winning in OT. I added a spreadsheet to play with the numbers and see the results and it's here. Throughout, let p1 be the probability of an extra point attempt succeeding and p2 be the probability of a two-point attempt succeeding. Call pOT the probability of winning in overtime. Those are identical except that strategy 2 has an additional pOT*(1 - p2)*p2 term. Since p1, p2, and pOT are all between 0 and 1 (since they're probabilities), that value is always greater than or equal to zero. That is, strategy 2's win percentage is always the same as or better than strategy 3's. You should never use strategy 3. What about strategy 1 vs strategy 2? 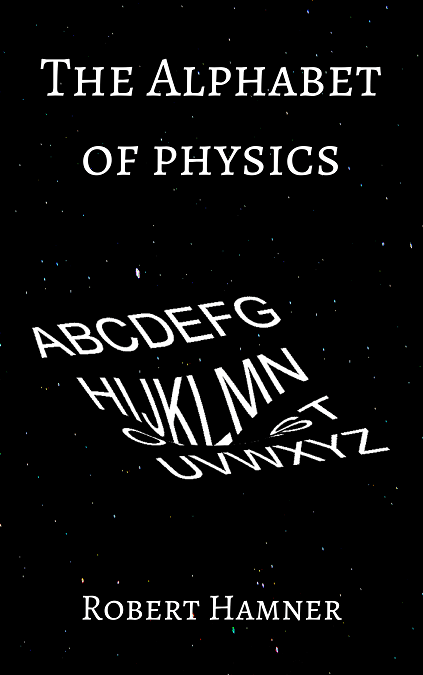 That one depends on your specific probabilities. I don't know of a great way to visualize this since there are enough variables to make it really confusing, so I put together a spreadsheet that you can play with. It is here (same link as the one at the beginning). To try to see the whole picture at once, contour plots are handy. Here are three examples. 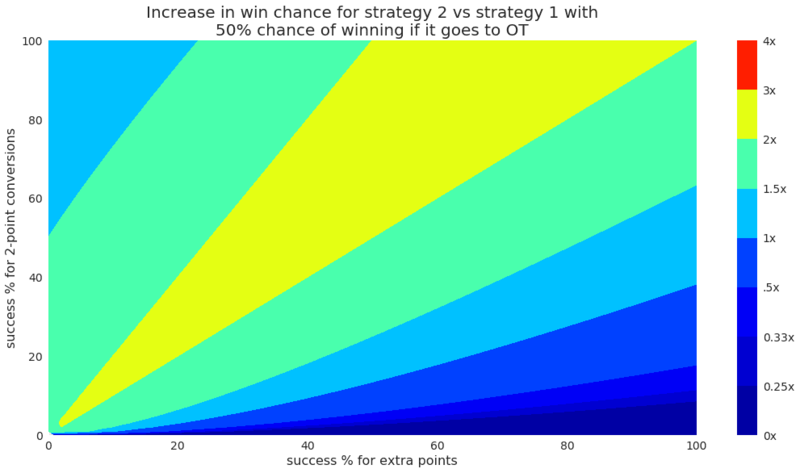 This is the win percentage gained by choosing strategy 2 over strategy 1 for all possibilities of extra point and 2-pt conversion success rates. The three examples here are three different assumptions for your chances in OT...30%, 50%, and 70%. The gains are represented as multipliers. That is, '3x' here means that choosing strategy 2 makes you 3 times as likely to win as choosing strategy 1 does. '0.33x' means that choosing strategy 1 makes you 3 times as likely to win as choosing strategy 2 does. Greater than 1 means choose strategy 2. Less than 1 means choose strategy 1. Exactly '1x' means the two strategies are equally likely to work. 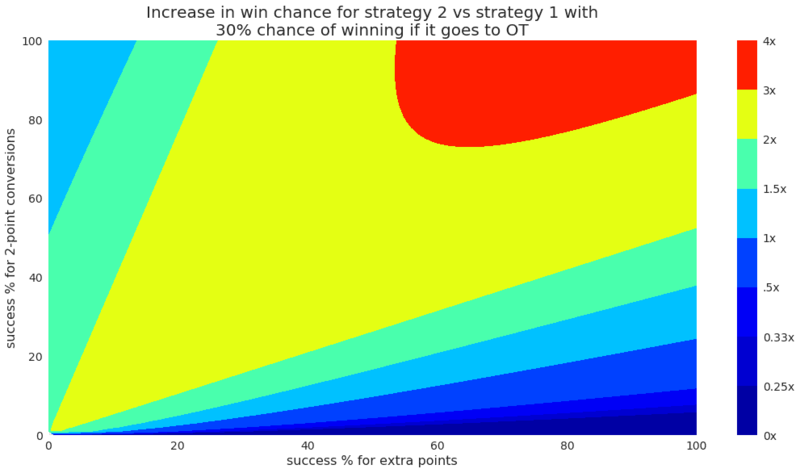 You can clearly see that strategy 1 becomes more attractive if you feel that you are likely to win if it goes to OT, but strategy 2 is more attractive overall if your 2 point conversion % is in the 40-50% range or better. Zooming into the most likely region in my opinion, here are the numeric results when the probability of winning in OT is 50%. The table is ordered with 'success % for extra points' as the columns and 'success % for 2-pt conversions' as the rows. 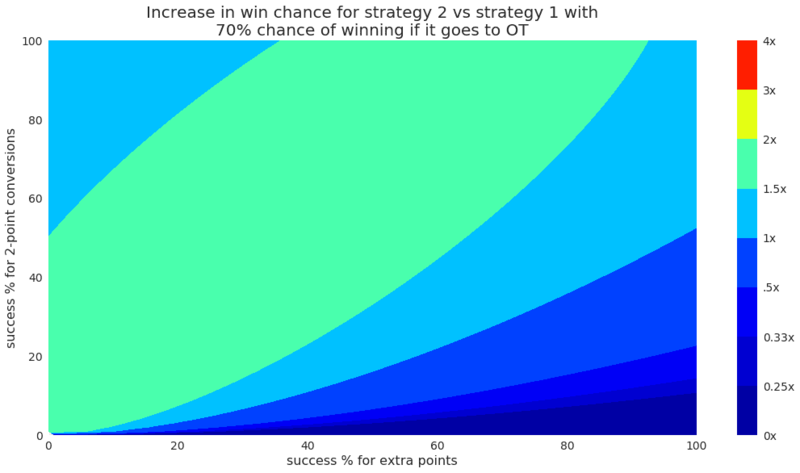 The numbers are again the increase in win % by choosing strategy 2 instead of strategy 1. If you want to play with the plotting, I used python for it and here is a link to my notebook.